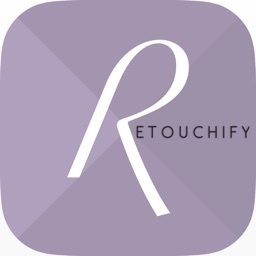 Get a real Photoshop expert to enhance or retouch your photos & selfies! 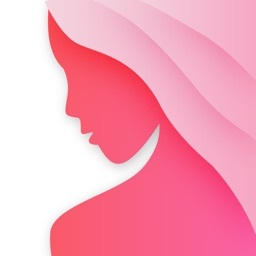 Remove pimples, eye bags, sweat, tattoos, wrinkles, braces, body hair, stretch marks, reddening, red eye, scars, cellulite or get the perfect smile, body or suntan. 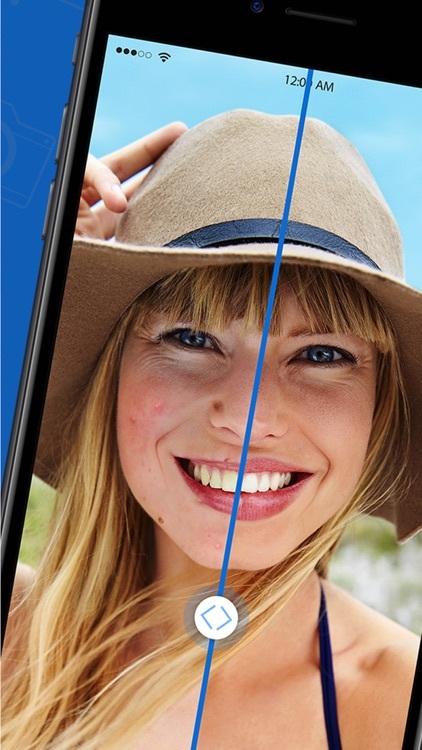 Over 50 body & face enhancements to choose from, all done professionally by our Photoshop experts. 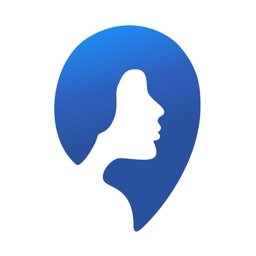 Join thousands of Pictric users including beauty bloggers, beauty influencers and Instagram celebrities who make use of Pictric daily to retouch and enhance their images. 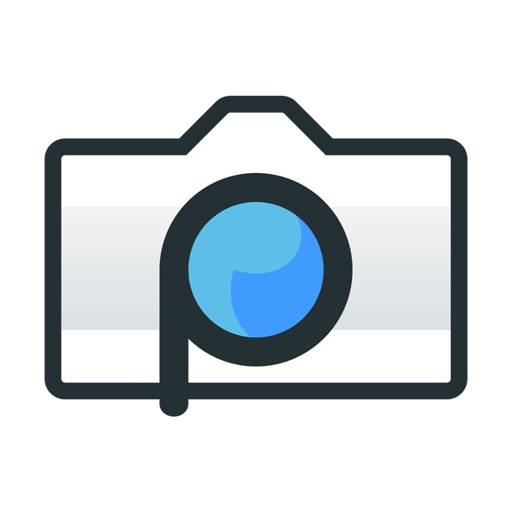 Pictric is the best-kept secret to get professionally enhanced and retouched photos. 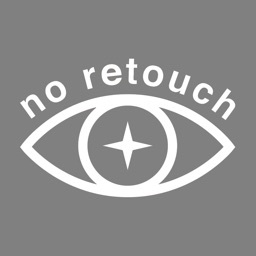 Why not get a professional photoshop expert to retouch or enhance your next selfie? 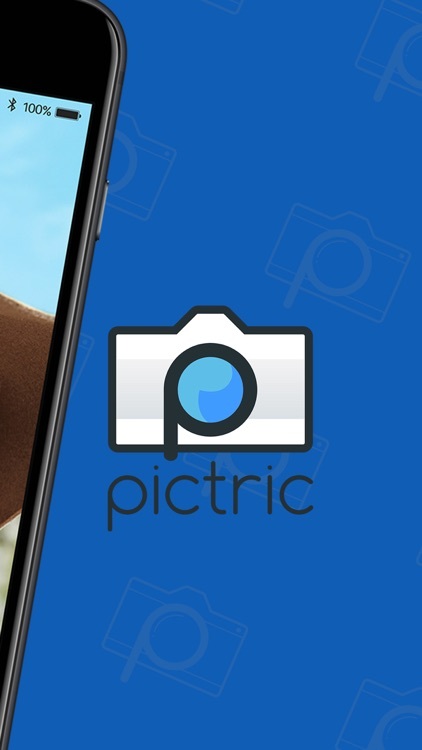 Once you have downloaded the Pictric app, choose your image and then choose your edit options. After purchasing coins you send off your photo to one of our experienced Photoshop experts. 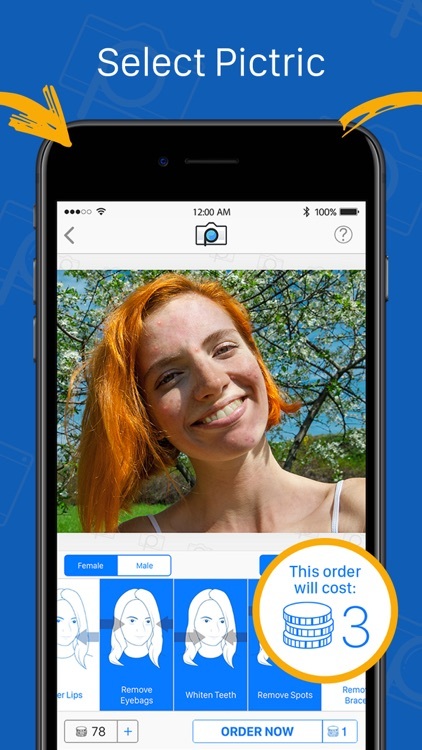 You will receive a notification within minutes with your professionally edited photo! EASY! 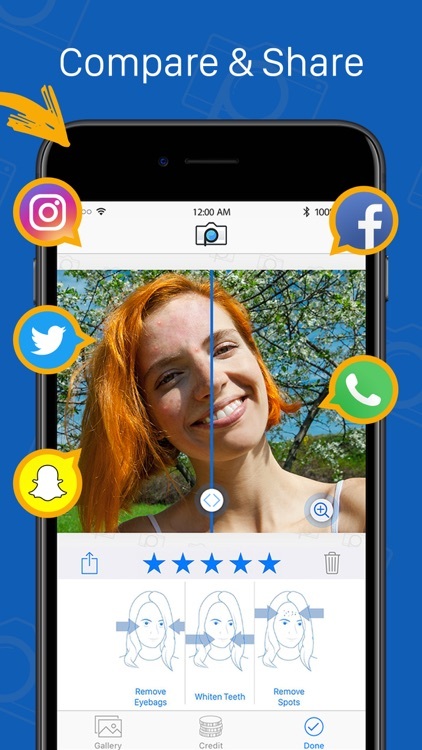 Next time you share a photo on Facebook, Instagram, Twitter, Snapchat or LinkedIn, ask yourself if this is the best you can look. No more unwanted pimples, eye bags, sweat, tattoos, wrinkles, braces, body hair, stretch marks, face reddening, red eye, scars or cellulite. No need to deal with complicated software with unrealistic or unsatisfying results. 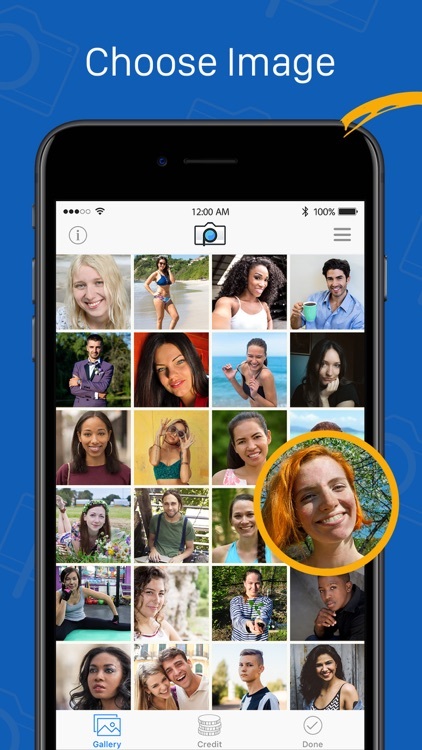 Confidently share your photos with your friends and family on Facebook, Instagram, Twitter or Snapchat!